I am writing about my short real journey with these DVDs starting from my first hand experience of receiving the kit from the parcel guy to this point of practicing Easy yoga for more than few weeks now. I have included what I have felt personally during my practice sessions… I have tried to make it very detailed and include the essential aspects, still I will be happy to see your experiences in the comments box, and here goes my comprehensive review. This Easy Yoga DVD series is packaged in a very protective way. This series include 3 DVDs which are well supported inside a strong cover along with a booklet and all the 3 single dvd pack is again pocketed in another cover. This strong protective packaging helped me to get the product without any damage even though it was shipped from abroad. This series is comprised of three DVDs named as Beginners Workout, Toning Workout and Relaxation Workout. I found this DVD tripack is a complete package containing booklets which had concise description of the poses, the guidelines to follow while doing Yoga, benefits and key points to do the poses and the usage of the props in the poses. All these elaborative description creates an interest to start a Yoga lifestyle. 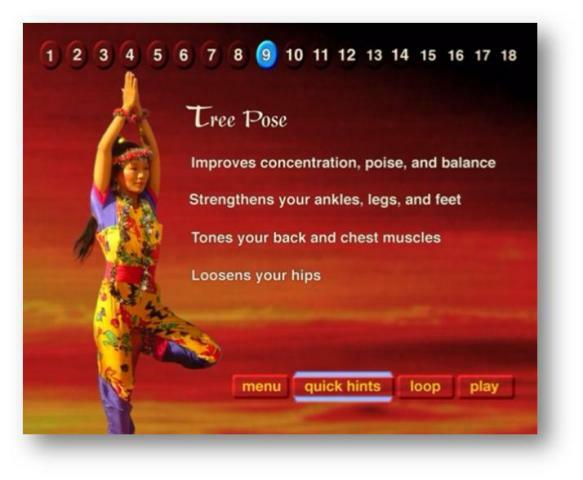 Furthermore, the booklets in each DVD pack contained the quick hints and benefits of the poses given by Yoga teacher Wai Lana. It is very handy for anyone and everyone to know in detail about the poses when there is no machine to play the DVD. After inserting into the player, i found the DVD is structured in a user friendly format. I feel it very easy to navigate through the poses. The DVD has many features to go for a pose. It has “Start Work Out”, wherein she explains all the poses with the benefits continuously, “Extras” with different poses: one asana at a time, Introduction and the option to choose your preferable language. “Extras” has different other features and the option to go back to the menu page. Clicking on one asana at a time makes it very easy to choose your own preferable pose and to practice with her. Clicking any asana on this page gives all the benefits and navigation to the key points for this pose. Initially I used to practice one asana at a time from “Extras” with the description, benefits and key point about the poses. But after few days I am simply playing the “Start workout” and practicing with her. Each DVD plays for nearly 1 hour. My practical experience after watching this video is, with a minimal time of the day and a little effort we can make our day healthy and peaceful. What I learnt from all 3 DVDs is that unless & until we do it ourselves, we could not feel the benefits and positive effects of any yoga pose or the meditation practice. I would say it applies to all. The best experience from practicing the poses with her is; she never asks to be competitive and put pressure on any body part to do the pose perfect but she focuses on maintaining the balance and safety of the body while doing any pose. 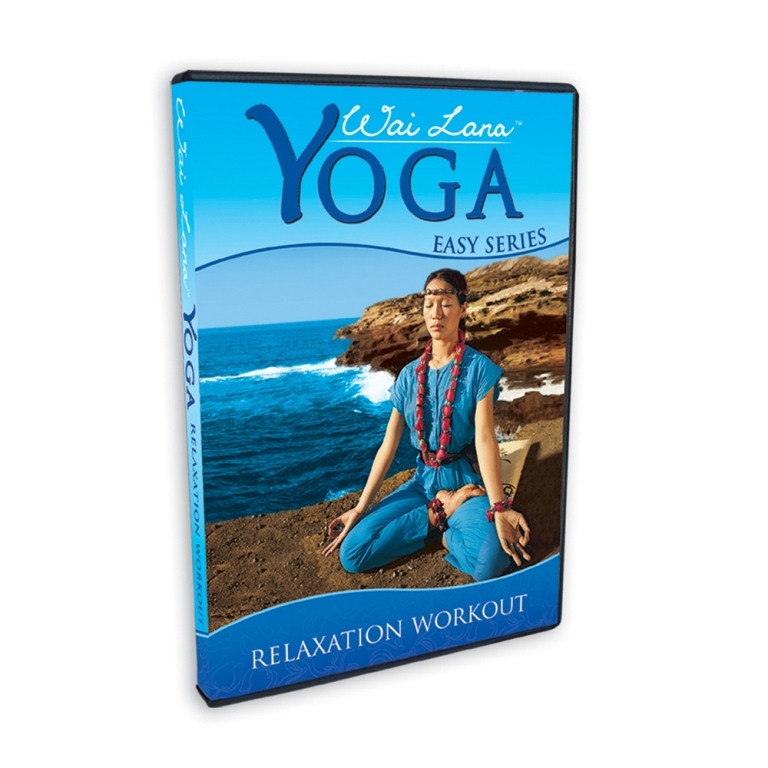 This series of DVDs by Wai Lana explains easy poses which is possible for all and everyone could do. I could realize after watching Wai Lana yoga poses – yoga is very important and beneficial to remain physically, mentally and emotional fit. Wai Lana explains many poses to massage different body parts and the internal organs. Watching the poses from Wai Lana, I could realize only doing the poses is not important but doing it properly with the instructions and steps mentioned makes the pose beneficial. Practicing the poses with her with the instructions followed makes the entire body flexible and stronger. This simply relieves the fatigue and helps to keep me alert and energized throughout the day. Earlier, I had no idea of the usage of yoga props in Yoga. After watching this video I bought the yoga kit and started using them and this makes it very easy to practice the Yoga poses, to balance evenly while doing the poses and to go deeper in the pose. I feel it very interesting to do yoga with the yoga props. I have a very weak and disease prone body; starting from having pain in many body parts, pain in joints, burning sensation in my back, weak nervous system, hand tremor, I have all that. Every day was a pain for me. I was feeling very difficult to pass each day with all these painful experiences. As I heard from her, about the various benefits of different yoga poses, it really helped me to know the particular poses meant for my situation. Different poses in this easy yoga video series helps me immensely to relieve the pain from different body parts. I would like to share the benefits of poses in different series elaborately with you. I hope this will help you in the same way. 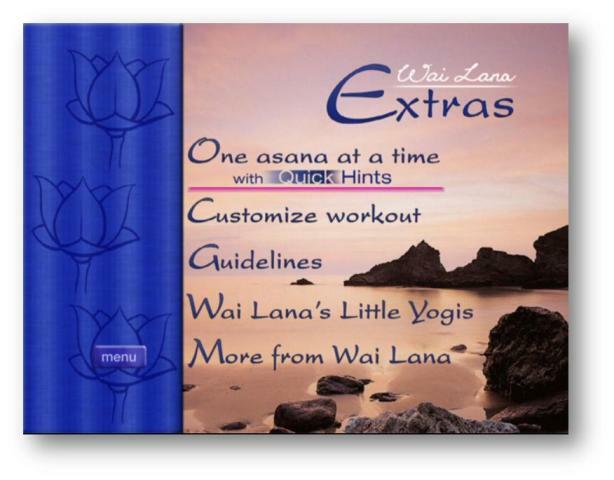 After trying this Easy Yoga series, I recommended Wai Lana TV series to my mom. She also has many illnesses as well like me and her experience practicing these poses is also as like me. She feels much more relaxed, rejuvenated and energized practicing these poses now. We are having a good time now discussing these poses and the benefits we get from this DVD series. I would say this series of DVDs is recommended to any one and every one and for all ages. One can easily buy the DVDs from their wide distribution network. You can easily purchase from many Wai Lana on-line stores. The poses in this series are very good to start with Yoga. These poses are very easy yet effective to the different body parts. After practicing the poses in this series for a long period, now I can feel many of the poses in this series are good to warm up the body before starting the yoga practice. The name she has given for the poses is very nice and very well suits to the poses. This simply stretches the body parts and tones different body parts. The best thing about many yoga poses in this series is, we can do them at any place and anytime. She very clearly explains the benefit of each and every pose which encourages doing the pose and the explanation makes it very clear to know which all poses suits to relax my stiff body parts. Here you go with my experience of the benefits from different poses. I always used to have pain in the neck, shoulder, back and tight muscles around the neck, rounded back and droopy shoulders sitting for long hours in front of the computer. Sometimes I get headache because of the tension in the upper body part. This Easy Series by Wai Lana has included many simple and easy yoga poses which helps me getting relieved from all those pains, relaxing the neck muscles, correcting the back and the shoulder by practicing them little bit at my work place once every 1 or 2 hours. Sitting in front of computer even causes stiff legs and joints, pain in the back especially in the lower back. Wai Lana has included many twist and forward folding poses in this series which helps making the joints and leg flexible while massaging the lower back, After practicing the forward bending poses with Wai Lana I could feel these poses oxygenates the blood and increases blood circulation in the body. The Krishna pose is the one which I heard for the very first time. This pose simply helps me in getting concentration and balance. This pose is really very nice and the name resembles to the pose of Lord Krishna. She looks very beautiful in this pose. Very nice to share that many a poses in this series helps to maintain the balance of the body by putting the weight at different parts of the body. There are bit difficult poses in this series but with the tips she explains – makes it easy to start with the pose and to gradually go deeper into the pose. Even she has poses in this series which is a real help to me in terms of soothing down my nerves from the tiredness and anxiety. 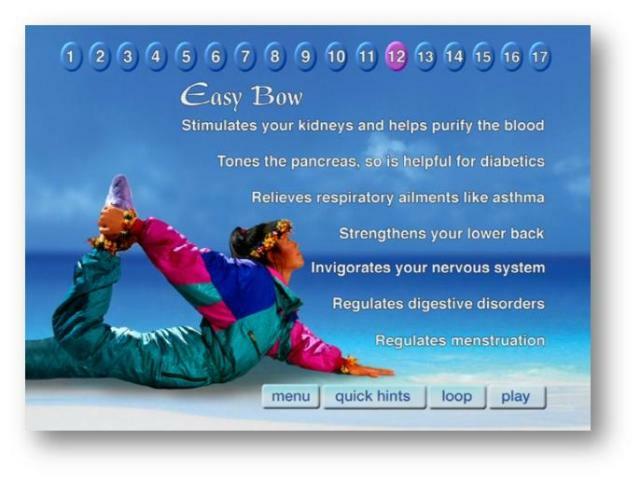 I found the easy Bow pose as an easy yet very effective not only for my body parts but for internal organs and many diseases. Practicing Yoga Nidra at the end helps me to gently relax each and every part of the body and helps to realize the benefits of the poses I have practiced. I feel very calm and relaxed hearing the yoga sound from her lips. This DVD is a complete package of stretching the body parts and then relaxing both the body and mind. The poses in this series helps me to stretch and strengthen different body parts while making me alert and energizing. I have heard inhaling properly till the abdomen helps to stay healthy and alleviates many diseases. After watching and practicing the breathing exercise in open area I could feel how relaxing effect these pose has. This simply removes all laziness and makes me alert, energetic and healthy. I usually get pain in the neck, shoulder and sometimes headache because of sitting in a bad posture for a long time in front of the computer or while driving. Wai Lana has included few more exercises in this series – which i can practice at my workplace every hour for a while to get relief from all those pains and keep me active. It was very tough for me to stand for a while because of the lower back and the knee problem I had. 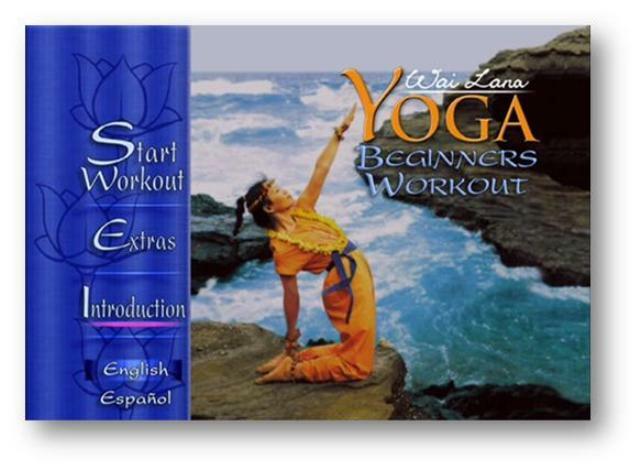 Apart from DVDs, Wai Lana Yoga Shows are also available in local TV stations. Everyone gets benefit from practicing the poses of Wai Lana which relaxes the different body parts helping to relive the pain and improve balance and concentration. Wai Lana explains to do the poses with comfort which creates interest in me and makes the pose easy to do. Following her steps, I try to do the difficult poses regularly and this helps me to go deeper into the poses gradually. Dynamic Forward Bending pose was very difficult for me to do initially. I was not able to touch the floor but with practice it has become easy for me now and I feel very flexible and invigorating doing this pose. I get lower back pain even while doing house hold work or while sitting in front of computer. Wai Lana’s magical insights regarding yoga lifestyle is unmatched. She has mentioned many poses in this series which helps relieving the Lower back pain and even these poses promotes for a good posture. I love to do the Lower body rock and Sacrum massage pose when I get lower back pain as this pose massages the sacrum and the lower back and is very relaxing. Normally I do this while resting after a long tiring day. I found the Cat Stretch pose very much beneficial for everyone. This pose massages my spine very nicely. My niece is 7 year old and I used to ask her to practice this pose by watching Wai Lana TV schedule available on KLRU. This is not the only one airing her yoga series on TV, but the TPT PBS is also airing in local stations. Hearing the name of Wai Lana, my neice got very interested to do it. She has started recently been doing this with her friends. Believe it or not; they enjoy very much doing this pose having a fun time while getting benefit of the pose and it’s very nice to watch them doing this pose. If people looking for airing dates of programs in other PBS can also check Vermont PBS. Practicing the poses with her helps me release the back pain by making my spine muscles supple. I found many of her poses are helpful for soothing my nervous system. The samadhi pose at the end helps to relax the entire body by relieving the anxiety and nervousness. I feel very happy and peaceful to meditate on the sound with her. The scenic beauty she has used in the video is very attractive and the sound from her lips is heart touching. The poses in this workout relaxes and rejuvenates all body parts. Looking at the yoga poses or someone doing yoga I was thinking yoga is a very difficult task and I had no hope of doing yoga in my life ever. But Wai Lana made it very easy with the description of the poses with baby steps to go deep slowly to the right pose. Practicing the poses with her is very interesting as she explains to do the pose in a very relaxed way. 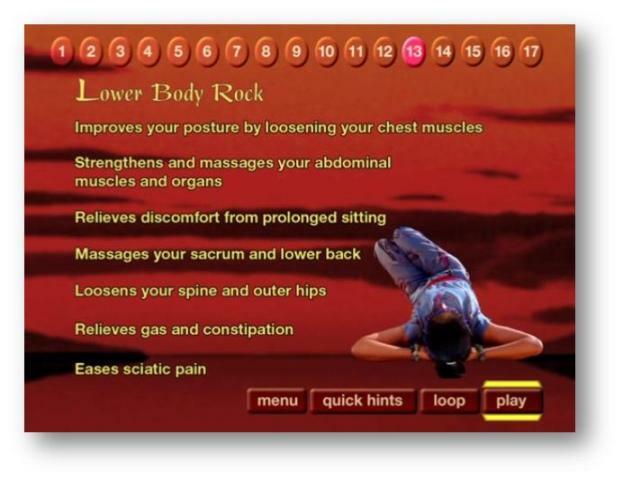 I feel the Rock and Roll pose very relaxing as it massages the spine, back muscles, and shoulder blades. I usually get stiffness and pain in the right shoulder, arm and below the collar bone when I wake up in the morning. Wai Lana has included many exercises for the upper body part in this series which releases all the stiffness in my upper body part and relieves the pain in my arms and shoulder. These easy poses give me life to start the day. Back pain and stiff leg is something many of my friends have. This has become a common topic in our discussion. But I found many of the poses in this series which stretches the back and leg making them very comfortable. Tree pose gives me many benefits in terms of concentration and balance which helps me to focus at my work and in other daily activities. Even I could feel this pose strengthens the legs. The Mantra Gopala Govinda Rama sung by Wai Lana is very soothing and relaxing to the heart and energizes the body and mind. The sacred sound clears the mind and heart from all kind of anxiety and worry. This music gives inner satisfaction and happiness. I feel very nice to sing and dance with my friends and family members with this music. Hearing to this soothing sound directly from Wai Lana removes all darkness and unhappiness from heart. Wai Lana’s whole life is completely devoted to spread yoga and its wisdom among the whole world. She has proved it by her wonderful activities & inspiring millions to practice and experience the amazing benefits of Yoga. On the occasion of international Yoga day, she released a Alive Forever music film which spoke of the eternal teachings of yoga known as Aham Brahmasmi. Last year on the Yoga Day, Wai Lana released Namaste video. These two musical video releases of Wai Lana’s Alive Forever and Namaste created a revolution for millions who watched and experienced them. From Namaste video we learned about humility and respect for others whereas the Alive forever taught us the ancient yoga teachings. She wants everyone to adopt a natural, healthy and a yoga lifestyle. She is popular among everyone starting from pre-schoolers to grandparents. She has many yoga products for all along with kids viz: kids cartoon DVDs, gluten free snacks, little yogi series, fun dvds and much more.